You've got two really good options at Romero Canyon: either the moderate fire road or the more difficult single track trail. Whichever you choose, you're sure to have a good workout and some nice scenery. Romero Canyon is a great destination for mountain bikers, thanks for the variety of trails (and the scenery ain't bad either!) There are options for easy, intermediate and difficult trails... so take your pick and get riding! There are two options for mountain biking, trail running and hiking at Romero Canyon: you can either take the Romero Fire Road or the single-track trail. 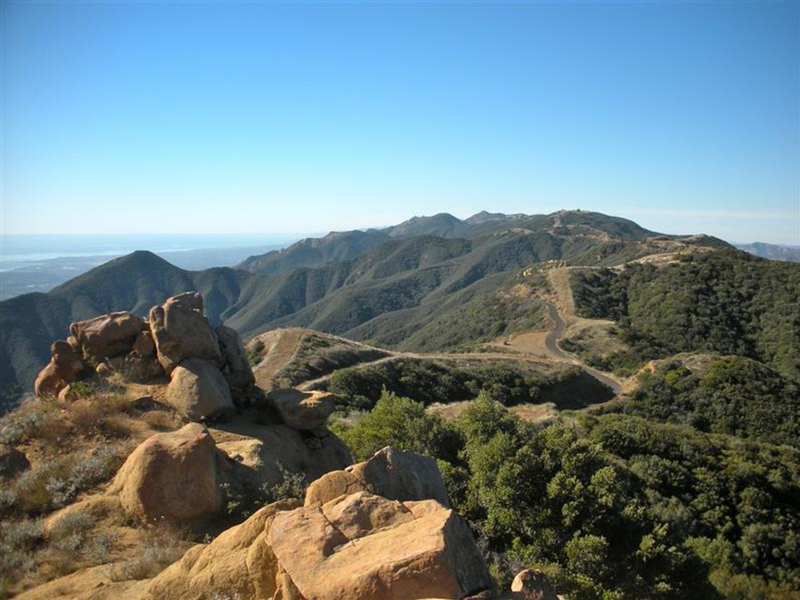 The fire road ranges between moderate to difficult and steep, as you climb up from the Bella Vista Drive trailhead. Rocky patches and washout are common on the road. The technical difficulty is dependent on how long it has been since it was last graded. The views on the way up are quite nice. Many make this route an out and back, turning around at any point on the trail. One way all the way to the top at Romero Saddle/ Camino Cielo Road is 6.8 miles, so if you go all the way and back, you're looking at about a 14-mile trek. Another route you can take is the Romero Canyon Trail, a much more rocky technical route. The trail crosses the fire road at about 4.5 miles and at the very top. Mountain bikers will often choose to take the fire road up and the single track trail down. More technical riders will enjoy the rocky sections at the bottom. For a less technical ride, meet the fire road at the Big Tree crossing and take that back down. Hikers and trail runners will get in a good workout no matter what route they take. And they'll certainly enjoy the scenery of Romero Canyon. There's something here for all levels of mountain bikers, from the non-technical fire road to the technical, rocky Romero Canyon Trail. There's also a few variations to link together for a longer, all-day outing -- for those days when you really want to ride your heart out. The trail starts at Bella Vista Drive, where you park at the side of the road. 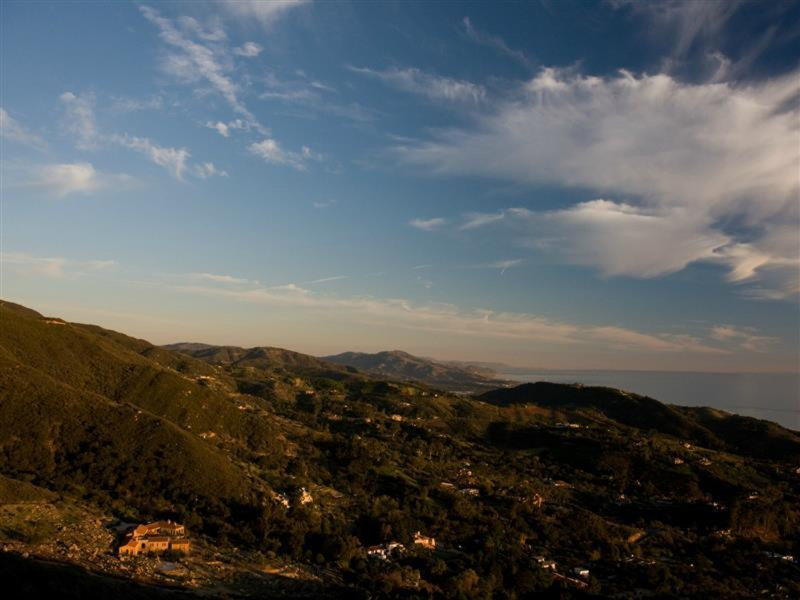 From the 101 Freeway, take the Sheffield exit in Summerland, just west of the Big Yellow House Restaurant. At the end of the off-ramp, turn north and proceed to East Valley Rd. At East Valley Rd make a left and then a quick right onto Romero Cyn Rd. Stay on Romero Cyn Rd until you come upon Bella Vista Dr. At Bella Vista make a right and continue up approximately ¼ mile to the trailhead.